My blending skills are better than my photoshop skills. I would group my transition shades into neutral, warm and cool categories. I’m around NC25 so these would be suitable for skin tones that are similar. I happen to have all of CoverGirl’s LashBlast mascaras in my stash, so I thought I’d do an overview post to show the differences between them, and my preferences. For this overview, I am just looking at the non-waterproof formulas. I typically do not wear waterproof mascaras for regular usage. * I just realized that I’m missing Luxe in my stash, the darker pink tube. But I can speak to it since I’ve tried it many moons ago – it’s a gimmick to have shimmer in mascaras, it doesn’t shows up on the lashes unless there’s a spotlight on them. The only place you’ll notice the glitter is on the cotton pad when you remove your makeup at night. The Luxe version is literally the original LashBlast Volume with glitter dumped into the formula. This is part deux of “How I wash my brushes” entry. As I mentioned in that post, I used to simply lay my brushes flat to dry them after they’ve been washed. But with advancement in the technology of makeup brush care, I have improved my methods! 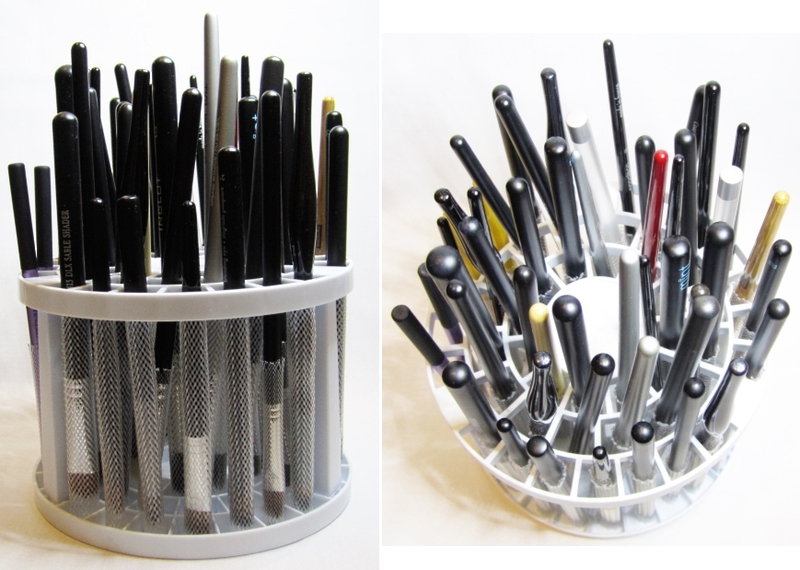 In the promotional images, the art brushes are placed with the bristles facing up for storage, but for the purpose of drying my brushes, I face them down – but with brush guards protecting the bristles. This is key. 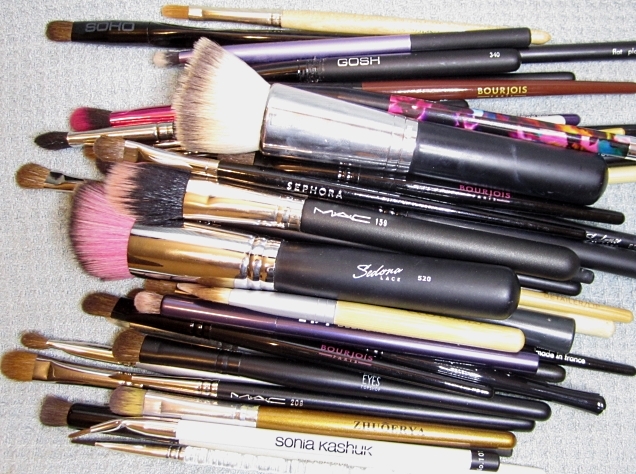 Don’t just put the brushes facing down and smooshing the bristles. The purpose of drying my brushes with the bristles facing down is to let gravity do some of the work: it prevents moisture from getting trapped in the ferrule (the metal part of the brush, where the bristles are glued in place). If moisture gets trapped in the ferrule, it can weaken the glue and cause the hairs to fall out. With this brush holder, I can fit 49 eye shadow brushes, and the whole set up can be taken apart completely for compact storage. It’s officially the first week of Spring! I toyed with the idea of doing a Spring cleaning makeup purging entry… but I’m just not mentally up for sorting through my stash yet. So instead, I’ll show you how I clean my makeup brushes. My method has developed over time. For years I simply washed my brushes with baby shampoo, laid them out on a towel and called it a day. But as more tools became available, I was able to improve my method and set up. I wash (or sometimes referred to as “deep clean”) my brushes regularly – my eye makeup and foundation brushes are typically used only once and then set aside for cleaning. My sponges are also used just once and usually washed that very morning – I don’t like to let foundation dry inside the sponge which can permanently stain it. This may seem excessive but I don’t want to risk bacteria build-up which can cause cross contamination between my brushes, my makeup and my face.